Comfortable for your clients, functional for your employees! 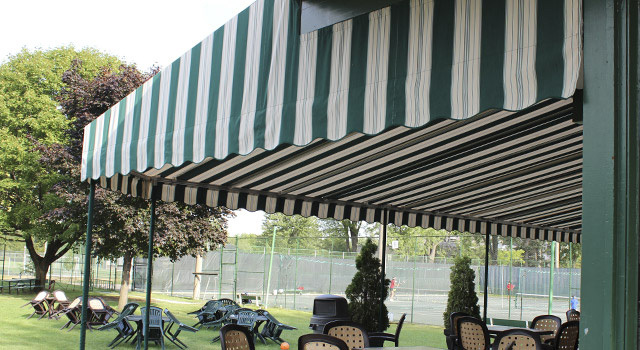 Our stationary awnings for terraces are made-to-measure to harmonize with your image or décor and the specific needs of your clientele. 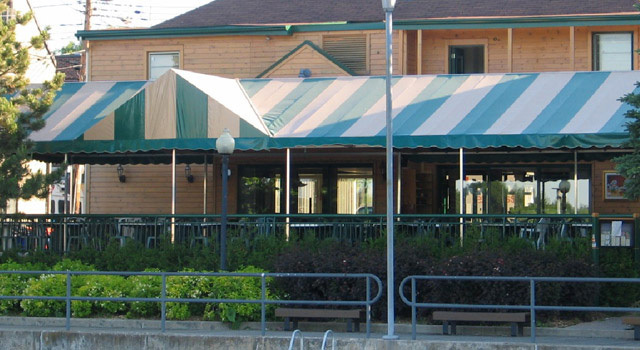 This is a great way to beautify, develop and expand your service area at a reasonable cost. 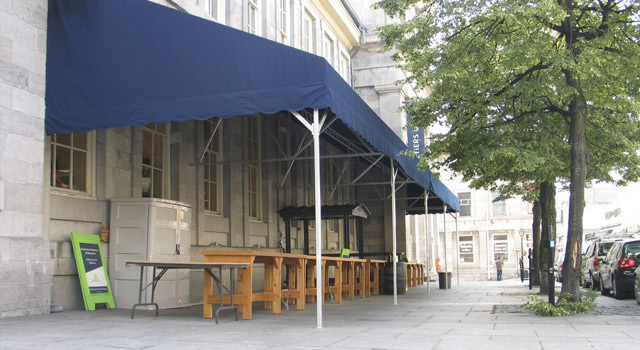 The shaded area created by an awning offers a comfortable environment that protects your clients and employees from the harmful rays of the sun. For extra comfort and greater privacy, canvas curtains can be added. 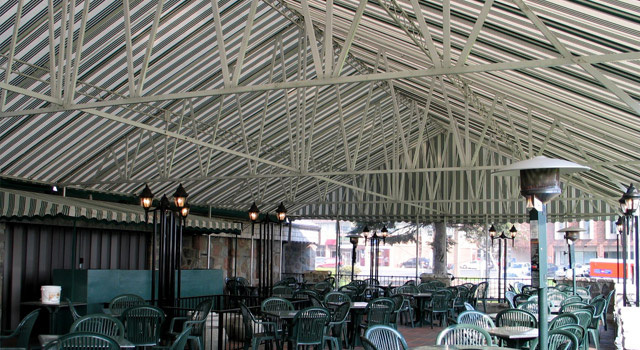 To avoid any problems with rain or wind, tinted or transparent plastic curtains can also be added. In addition, in order to keep annoying insects and mosquitoes away, we can install a screened curtain to enable you to fully enjoy those warm, peaceful summer evenings. We have an exclusive concept to maintain uniform mechanical tension holding the material in place on the aluminum structure for solid durability. The various choices and combinations of colours of material are endless, allowing you to create a look that reflects your image. 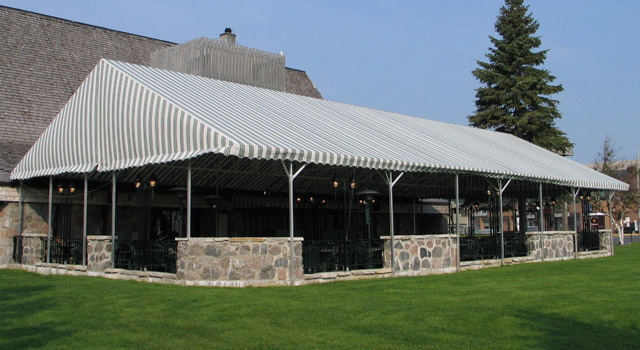 Depending on your needs, we can offer you a 3 or 4 season terrace.